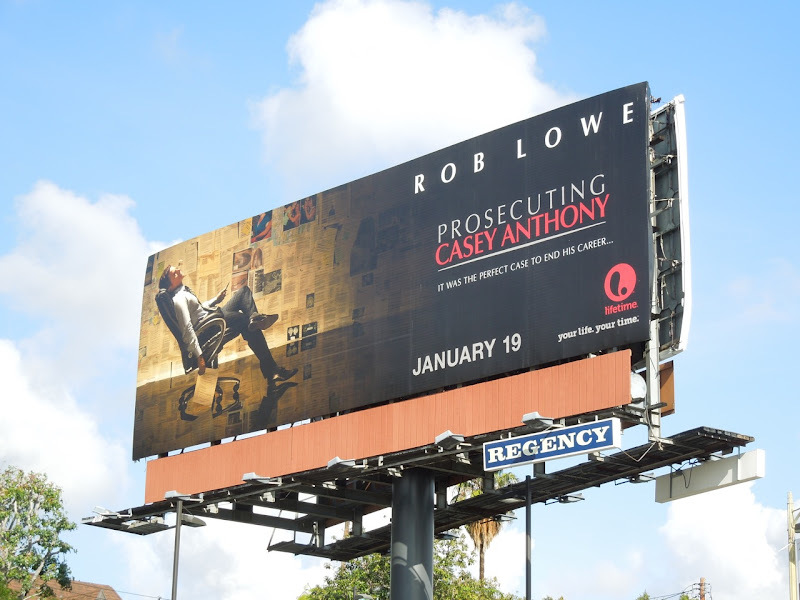 There's nothing like a bit of human tragedy and suffering to make for compelling viewing and that's what Lifetime are no doubt hoping for with their TV movie, Prosecuting Casey Anthony. 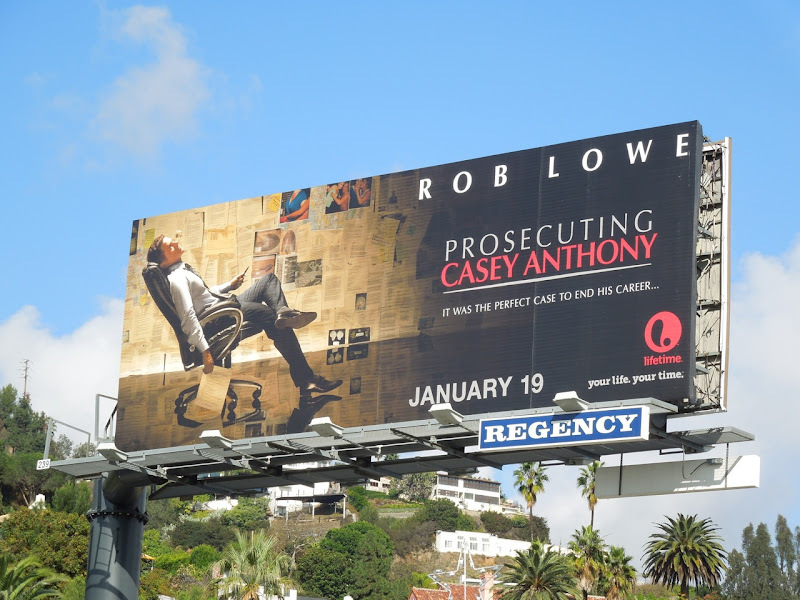 Rob Lowe stars as courtroom prosecutor 'Jeff Ashton' in the drama about the high-profile trial of the woman accused of ruthlessly murdering her own daughter. 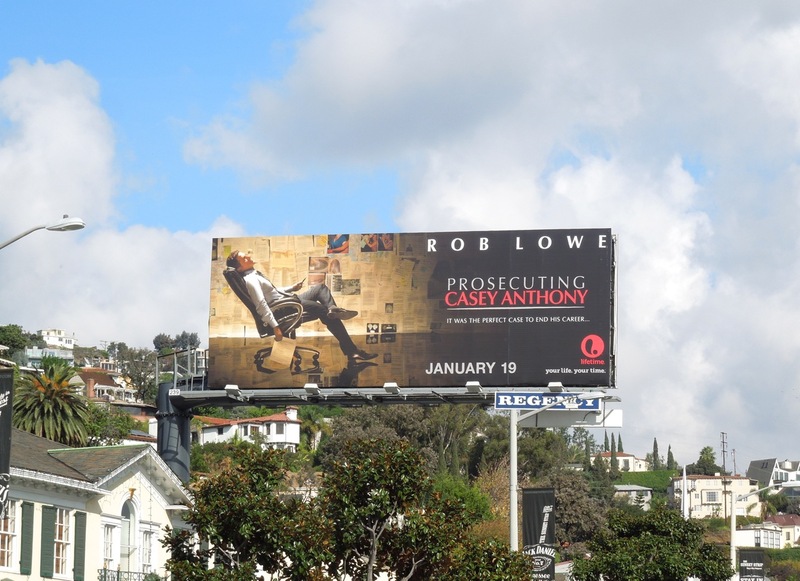 This TV adaptation of the trial is based of the book, Imperfect Justice: Prosecuting Casey Anthony, by the real-life prosecutor himself and will focus more on the legal battle and tactics rather than the woman herself who was actually found not guilty. 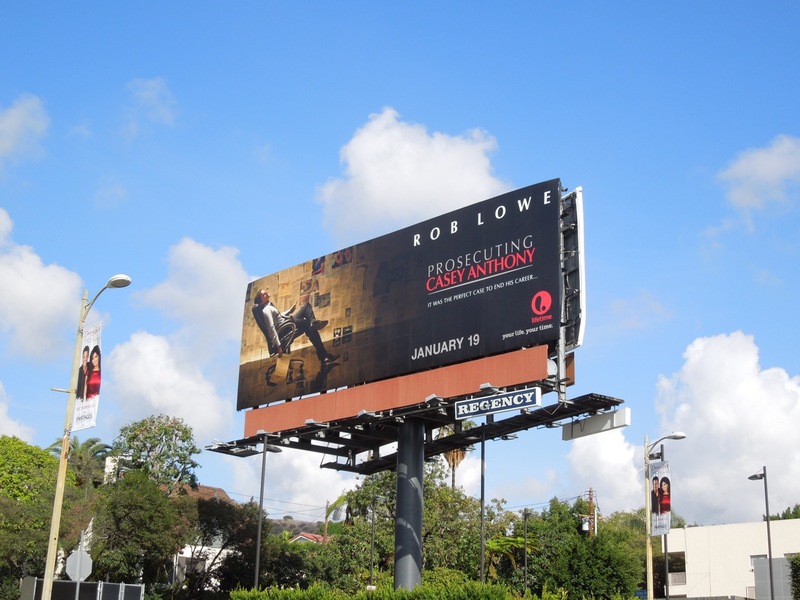 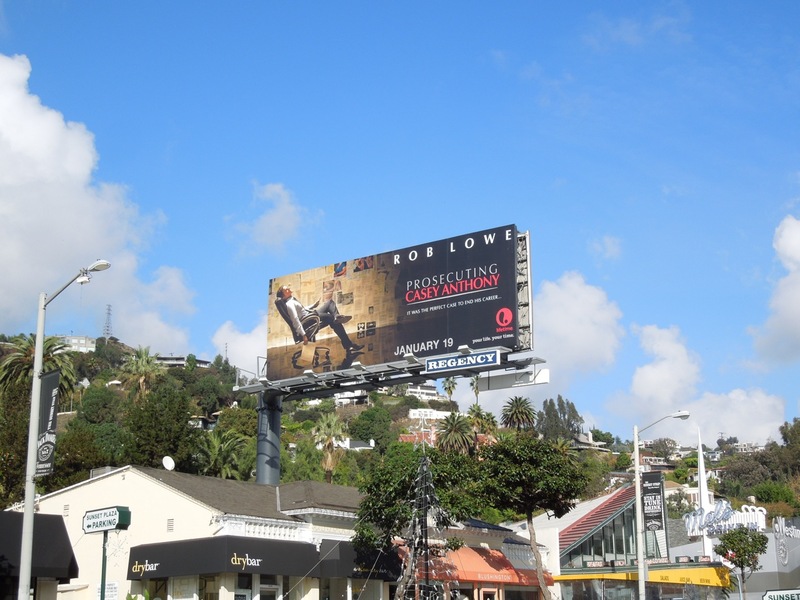 These billboards for the Lifetime film premiering in the New Year were snapped along Sunset Plaza and further east along Sunset Boulevard on December 3, 2012. 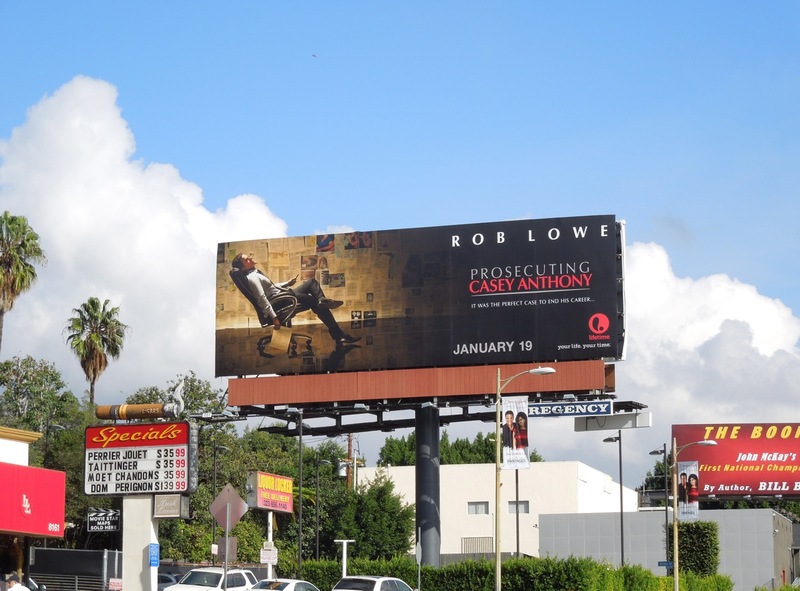 If you're a fan of the cable channel, be sure to check out these other Lifetime show and movie billboards.